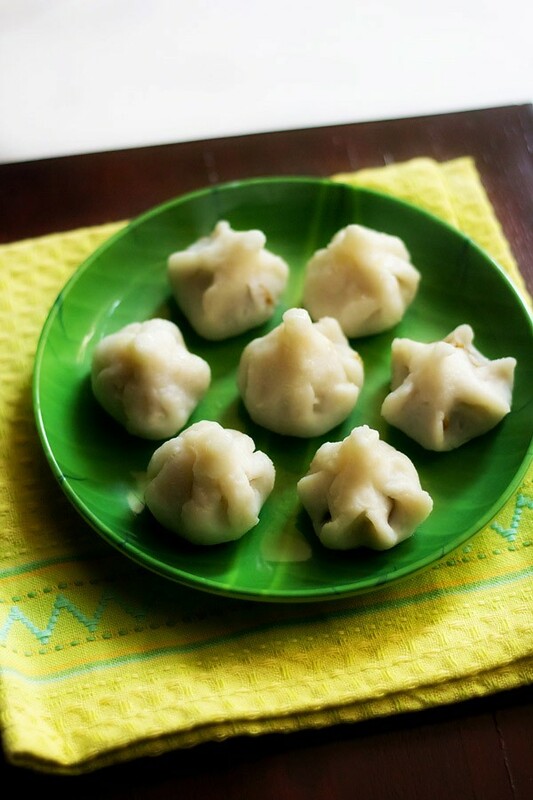 modak recipe with step by step photos – ukadiche modak is one of the most popular modak variety made during ganesh chaturthi festival in maharashtra. this year ganesh chaturthi is starting on 2nd september 2019 and as usual will last for 10 days. 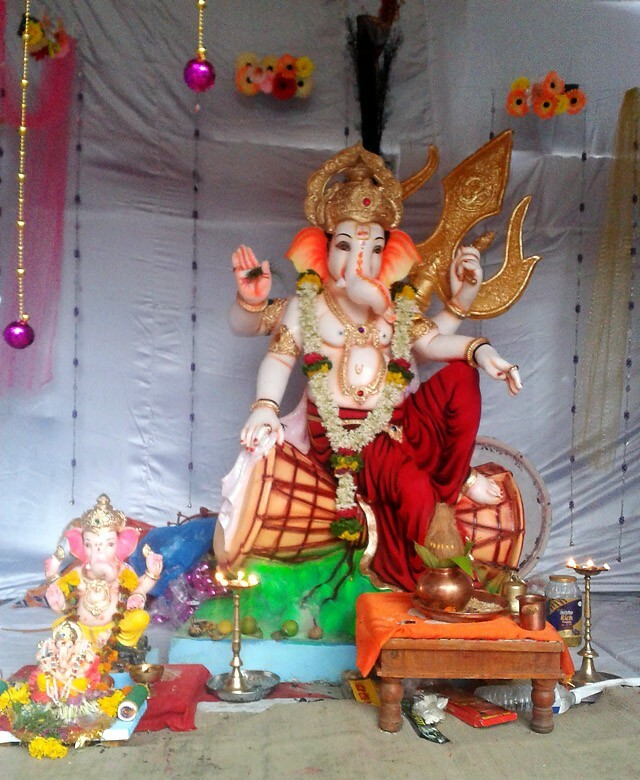 a happy ganesh chaturthi to all the readers of my blog. i pray that lord ganesha bestows prosperity, luck and blessings to everyone. 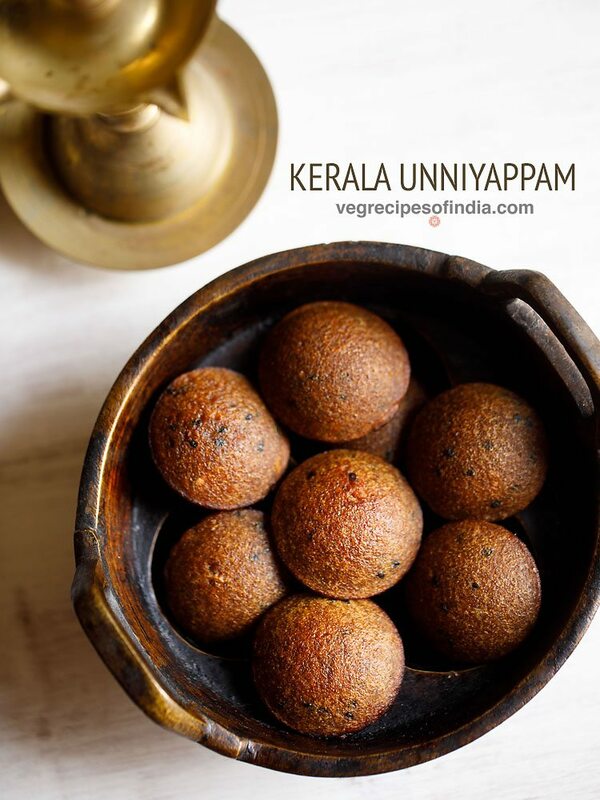 if you are looking for recipes which are made during lord ganesha festival then you can check this list of 60 recipes for ganesh chaturthi. the ganesh chaturthi festival is one festival I have grown up with. i would see as a kid how the devotees of lord ganesha would bring him and worship him with so much devotion and prayerfulness in their homes. this aspect of devotion and gratitude became a part of me and is something which i still have. i can never forget those days when I would simply wait for ganesh chaturthi festival and would not like when we had to leave lord ganesha. i would wait to have the sumptous feast, the prashad/prasad or naivedya or bhog that was first offered to lord ganesha and then to us. this feast had its own beautiful feeling of love and devotion infused in it. the vegetarian feast served on plantain leaf, would consist of panchamrit, rice poori or vades (a malvani recipe of puris made from flour comprising of lentils, rice flour etc), steamed rice, a beans or cauliflower or potato veggie dish, dal or varan bhaat, kala vatana sambar, banana sheera and of course and obviously modak – lord ganesha’s favorite sweet. 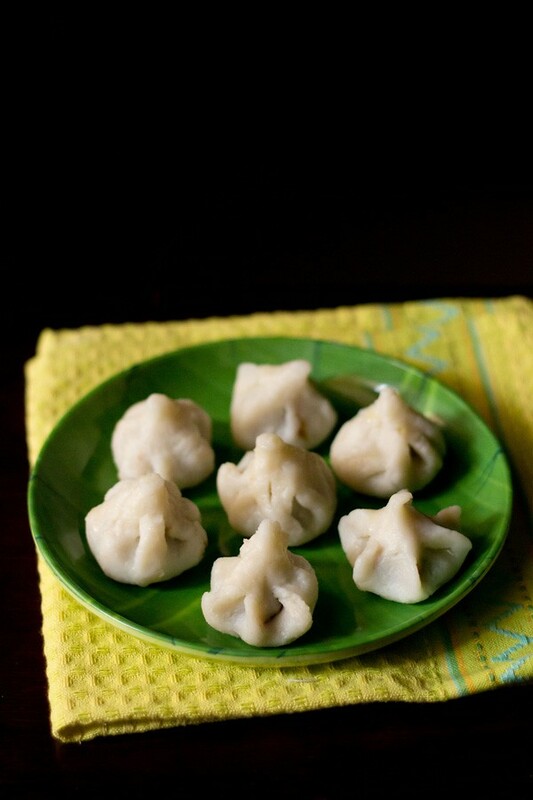 modak is a favorite sweet of the family too. 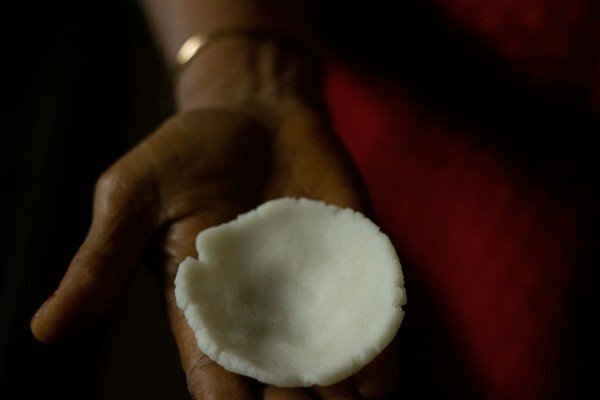 we all like the sweet jaggery and coconut filling inside the modak. this filling has a resemblance to the filling used in patholi (a konkani recipe of steamed sweet rice flour delicacy made in haldi/turmeric leaves). 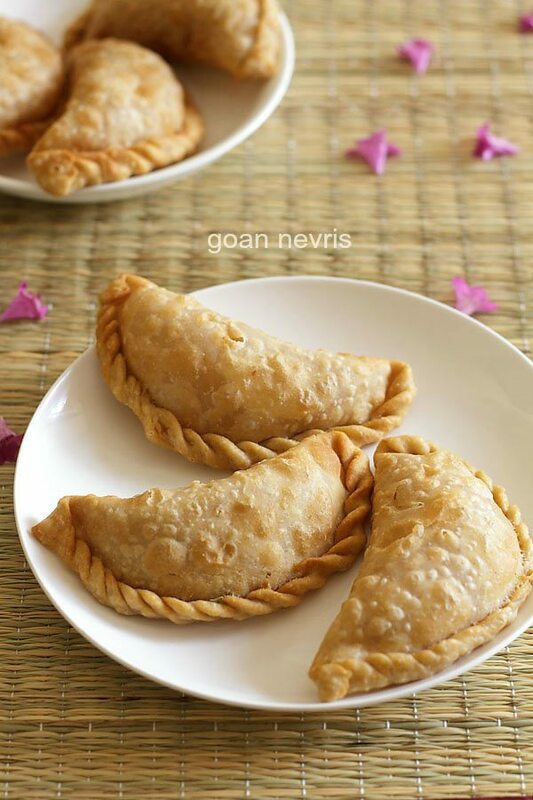 patholi is a sweet that is made during the gauri – ganesh festival in the regions of konkan & goa. i remember having plenty of modak only during ganesh chaturthi and not any other time. i would always ask my mother to make them at other times and she would not make them. now I know why she wouldn’t make them. 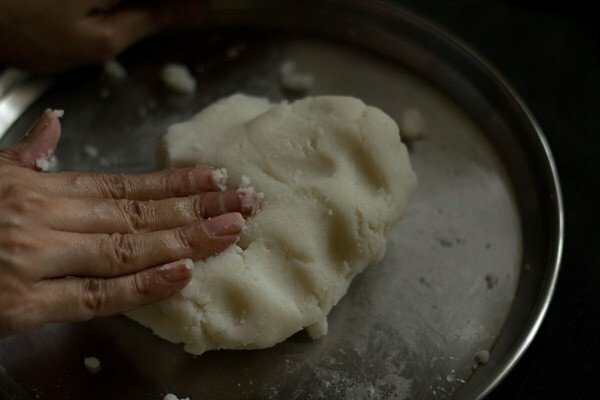 its takes quite some time to make modak and can be a messy affair, especially if you don’t get the things right. 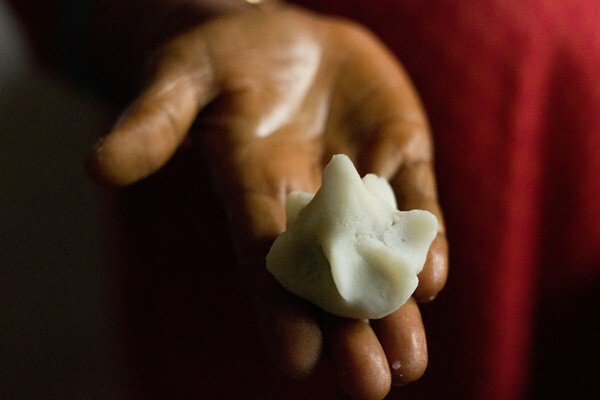 by practice, you will learn to make better modaks at home. preparing modak does require patience & effort. the pleated or fluted effect on modak comes through practice. it is good if you have the modak moulds. they make the stuffing work easier. 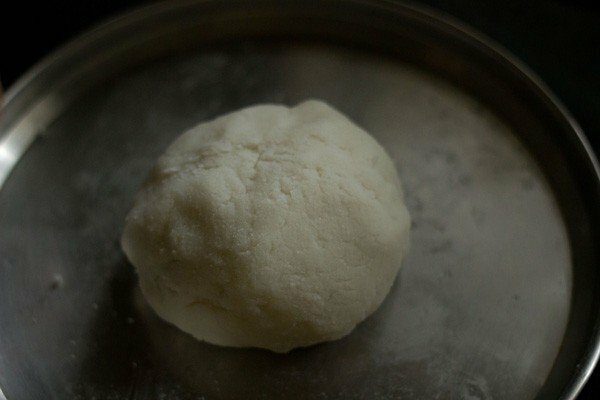 this post is a step by step recipe with images for making modak at home. 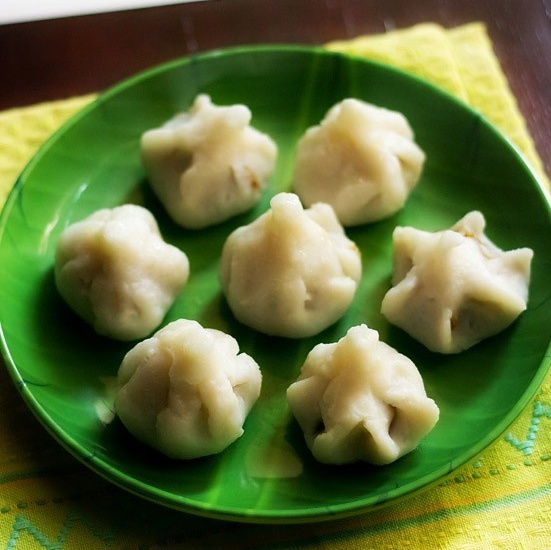 this is a maharastrian modak recipe. 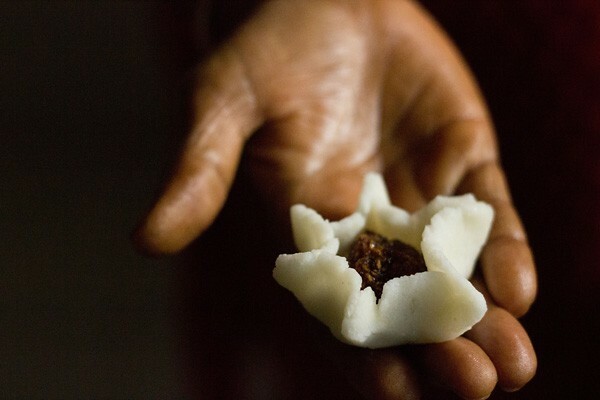 its also called as ukadiche modak where the modak are made from ukad or rice flour dough. 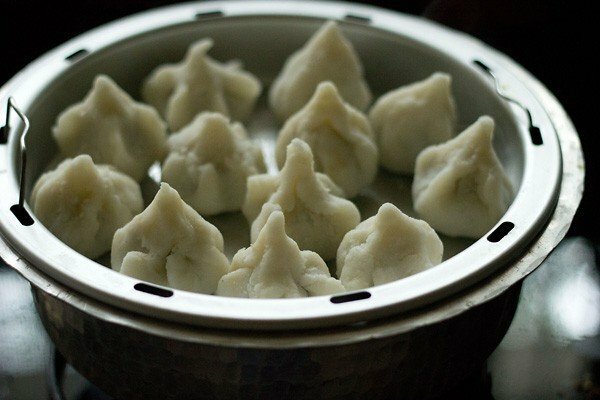 after shaping them, the modak are then steamed. there is another version of modak recipe where the modaks are fried and an easy modak made from rava or sooji (semolina). these semolina modak do not require any steaming. 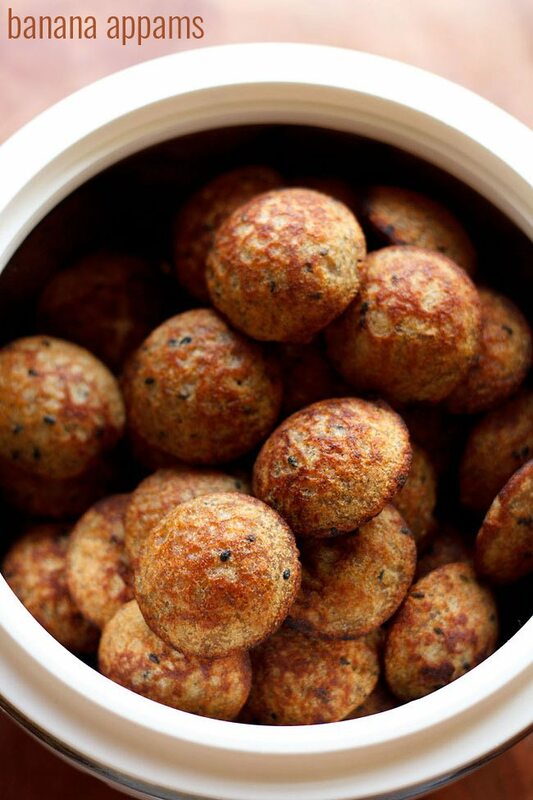 sweet kozhukattai (south indian recipe variation of modaks). 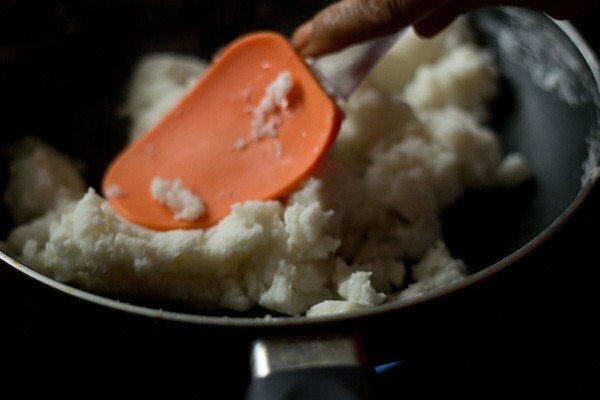 1. heat ghee in a pan. add poppy seeds, cardamom powder and nutmeg powder. keep flame to a low. 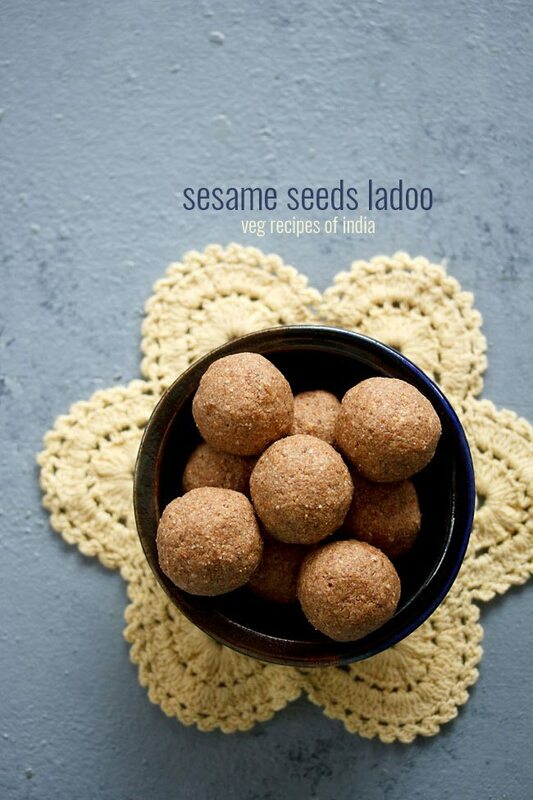 add poppy seeds, cardamom powder and nutmeg powder. saute for some seconds till poppy seeds start crackling. 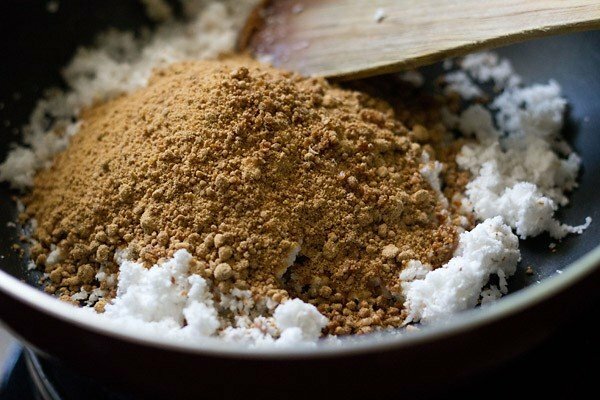 2. then add grated fresh coconut and powdered jaggery or grated jaggery. 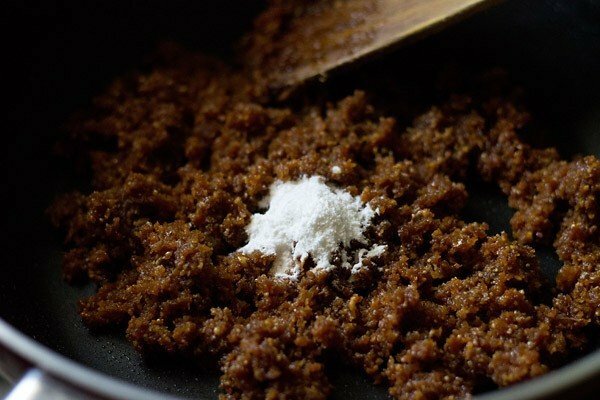 3. mix well and cook this coconut-jaggery mixture on a low flame. the jaggery will melt first. 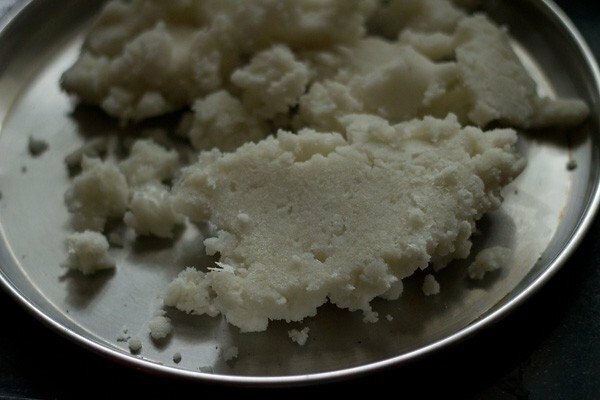 4. stir at times and cook this mixture till the moisture from the jaggery begins to dry. switch off the flame. 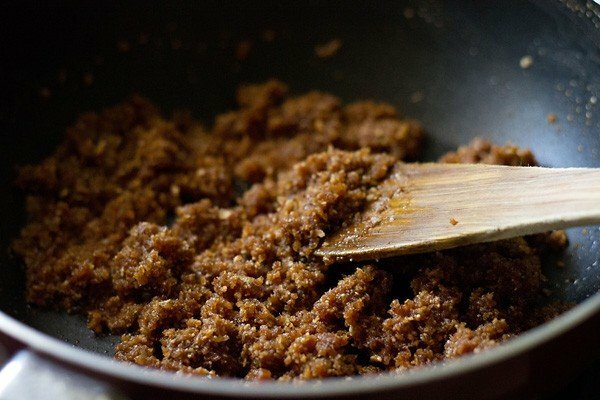 don’t overcook as the jaggery then hardens. 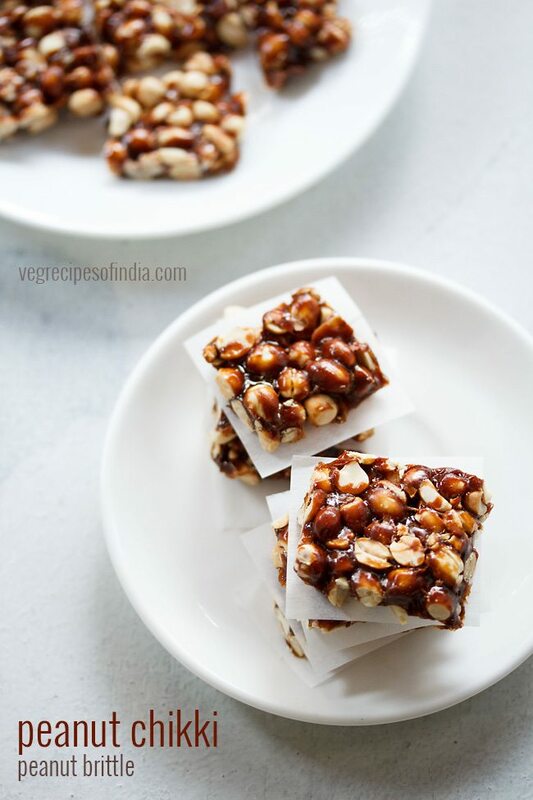 keep this coconut-jaggery filling aside. on cooling the mixture will thicken more. the following is an optional step. you can add a bit of rice flour to this mixture. a tip from my friend. the rice flour helps to absorb moisture, if any from the filling. keep the filling aside to cool. 1. in a pan or dekchi add water, oil/ghee and a pinch of salt. keep it on the stove top. 2. let this mixture come to a boil. 3. add the rice flour and quickly stir and mix the flour with the water. 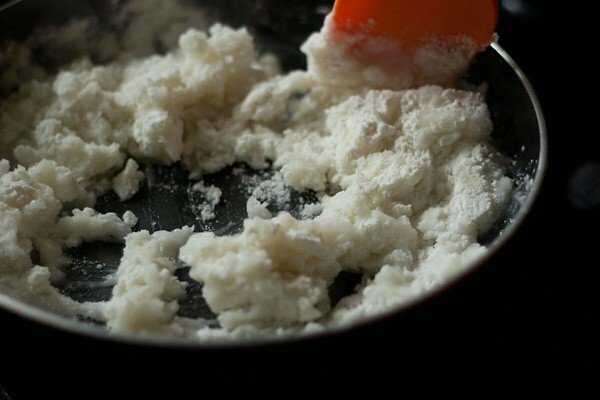 4. stir till all the rice flour is mixed with the water. switch off the flame. remove the pan from the burner and keep on the work place. 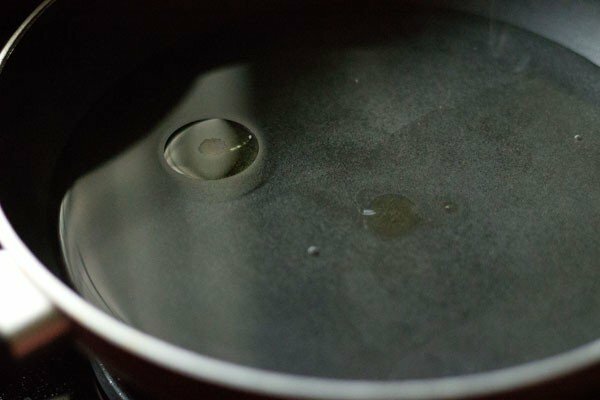 cover the pan with a lid for 4 to 5 minutes. 5. now take all the dough in a plate/thali or in a bowl. 6. gather the dough together and begin to knead it. the dough will be hot when, you begin to knead. so apply some water on your palms and knead the dough. knead the dough very well. if you feel the dough looks dense or hard or dry, then just add a few teaspoons of warm water and continue to knead. 7. the dough should be smooth without any lumps. 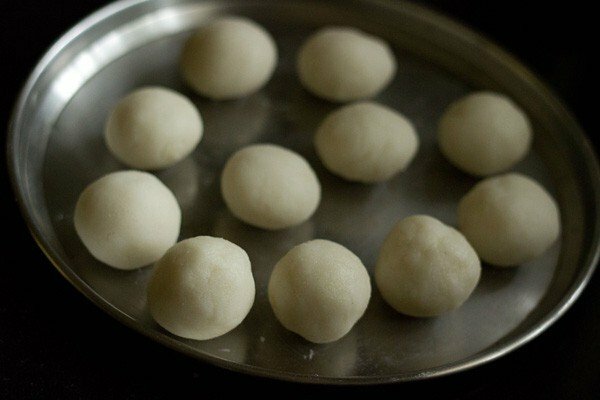 8. make small balls from the dough. roll the balls till smooth in your palms. you can also apply some water on your palms, while rolling the balls. keep the balls covered with a kitchen towel. the balls should not have cracks. they should be smooth in appearance. 9. take a ball and flatten it with your fingers or on your palms, to a round disc or a shallow bowl shape. 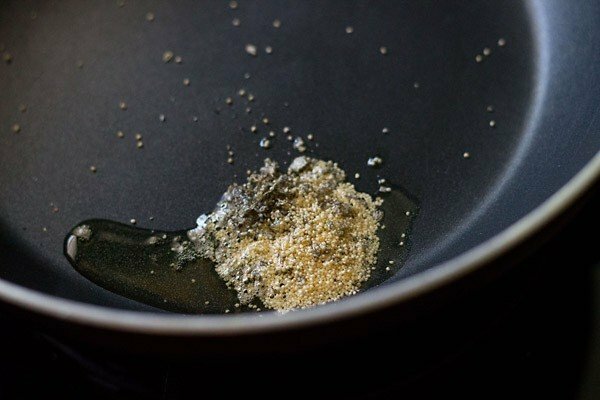 you can apply ghee/oil in your palms, while flattening. 10. place the modak filling in the center. 11. press the edges as shown in the pic below. you can also press the edges first and then add the filling. 12. bring together all the edges and join them. remove the extra portion of the dough from the top, if any. 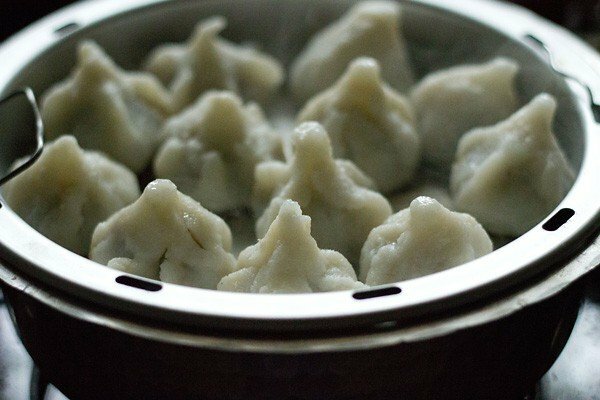 shape and taper the top of the modak with your fingers. you can also use ready modak moulds. 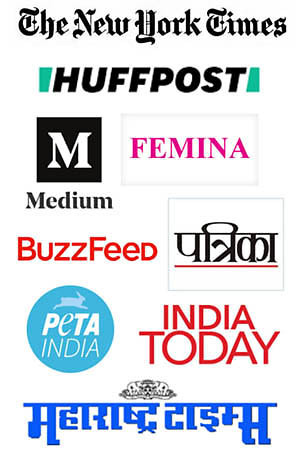 they are usually available in shops and market some days before ganesh chaturthi festival in different sizes. 13. make all the modak this way. keep them in a steamer pan. 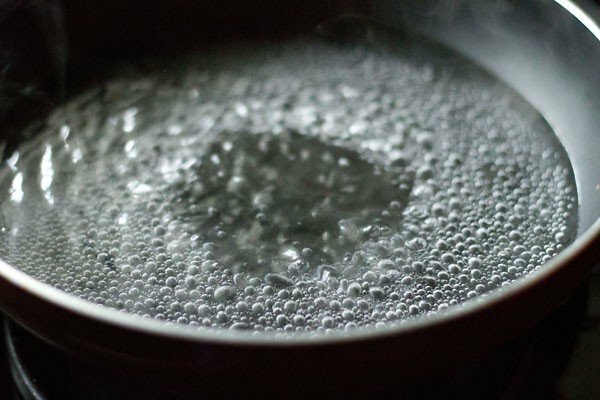 cover the pan with a lid and steam for 10 to 15 minutes on a low flame. some modak may crack while shaping or steaming, buts its fine. you can forgive yourself if you are making this first time. 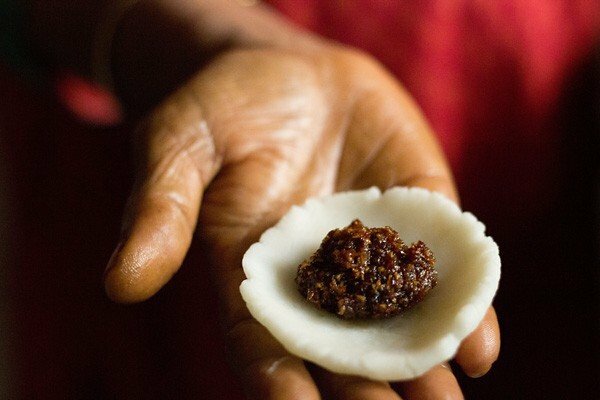 14. once the ukadiche modak are steamed, drizzle a few teaspoons of ghee on the modak. 15. the ukadiche modak are ready to be offered to lord ganesha. important note: If you are making the modaks as prasad or naivedyam then please refrain from tasting the filling or the dough. 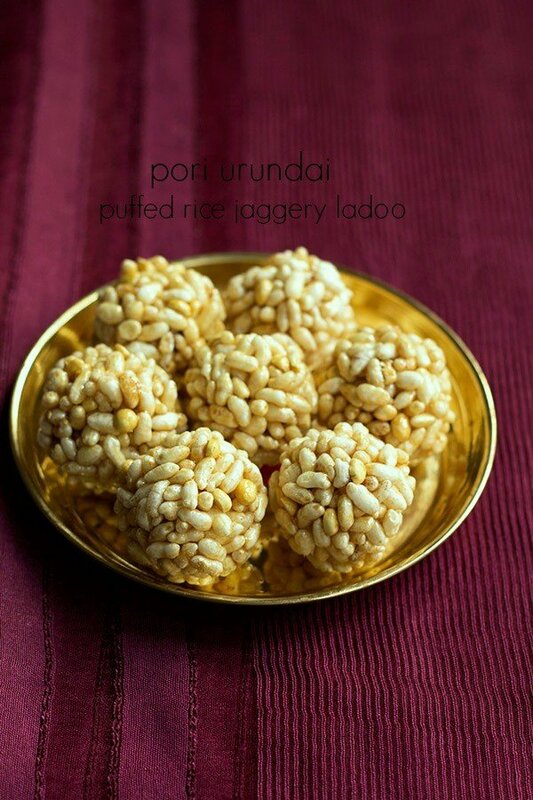 prepare with utmost care, love and devotion and this prasad of modaks will nourish everyone’s being subtly. use clean utensils and good quality ingredients and prepare in a clean and hygienic manner.